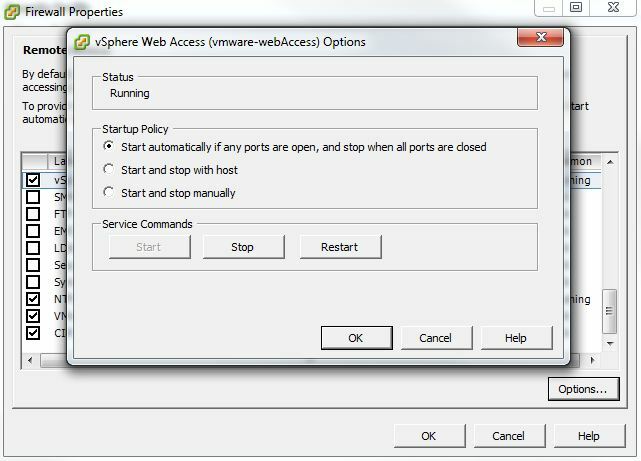 If you connect to an ESX4 Server and attempt to “Log onto Web Access” you get a 503 Service Unavailable error. 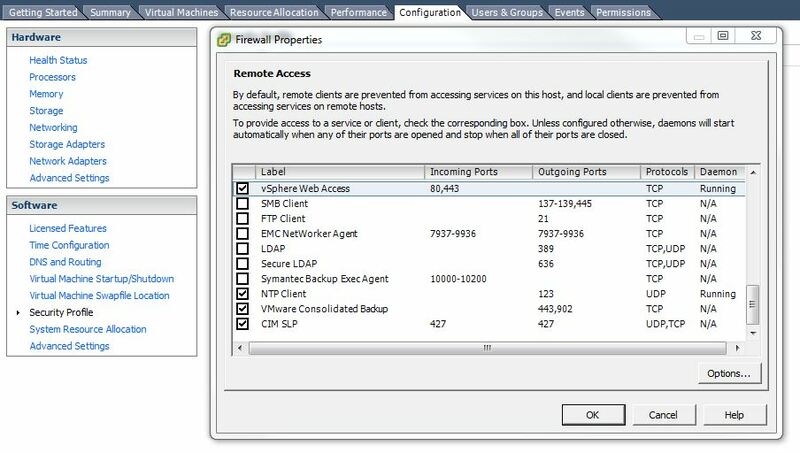 This is because unlike EXS3 the web console is disabled, well not strictly true the service is usually running but the firewall (on the ESX server) is blocking it. 2. 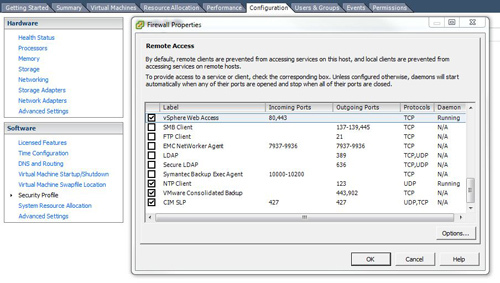 Select the ESX Host > Configuration > Security Profile > Properties > Locate vSphere Web Access > Tick it. 3. Then click Options Select Start and Stop with the host > Restart. Note: Post ESX host reboot you may see 503 Service Unavailable Errors for a few minutes go and have a cup of coffee by the time you come back it will be up.